3D printing of food works much like 3D printing of other materials in that layers of raw material are deposited to build up a final product. In addition to offering customised food options, the ability to 3D print food at home or on an industrial scale could greatly reduce food waste and the cost involved with storage and transportation. It might also help meet the rapidly increasing food needs of a growing world population. "We built a platform that uses 3D printing to create food microstructures that allow food texture and body absorption to be customised on a personal level," said Jin-Kyu Rhee, associate professor at Ewha Woman's University in South Korea. "We think that one day, people could have cartridges that contain powdered versions of various ingredients that would be put together using 3-D printing and cooked according to the user's needs or preferences," said Rhee. 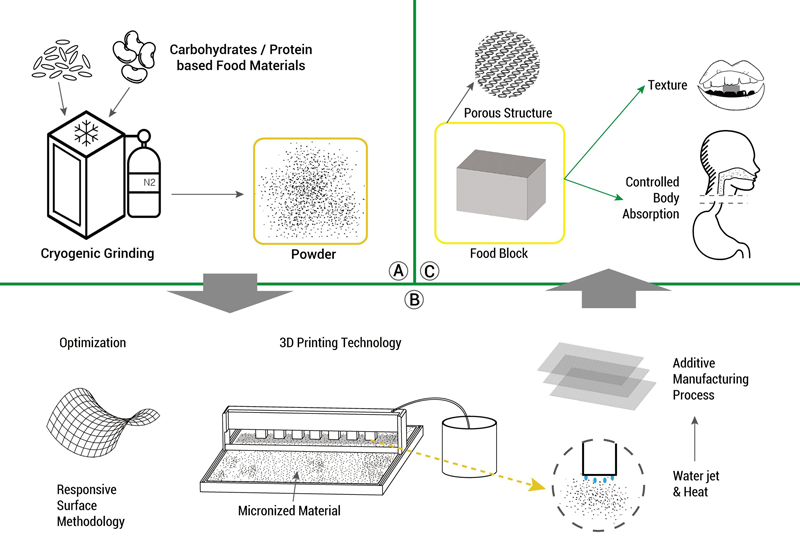 For the study, researchers used a prototype 3D printer to create food with microstructures that replicated the physical properties and nanoscale texture they observed in actual food samples. They also demonstrated that their platform and optimised methods can turn carbohydrate and protein powers into food with microstructures that can be tuned to control food texture and how the food is absorbed by the body. 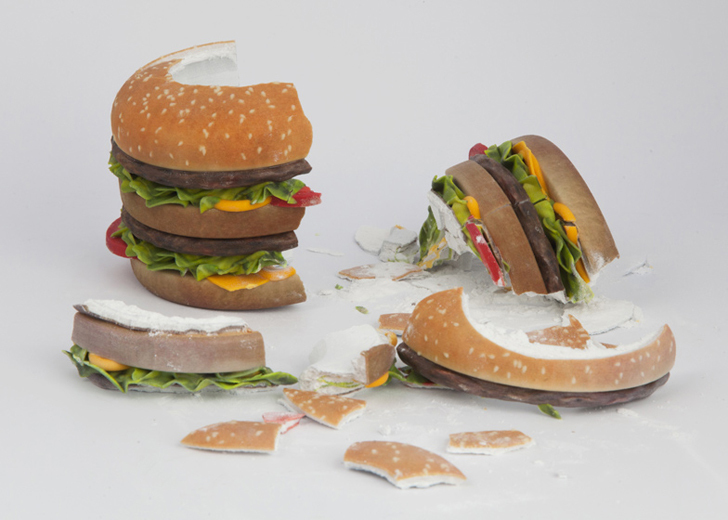 "We are only in early stages, but we believe our research will move 3D food printing to the next level," said Rhee. "We are continuing to optimise our 3D print technology to create customised food materials and products that exhibit longer storage times and enhanced functionality in terms of body absorption," she said.